Imagining Hanway Place as a Burg, with its enclosed interior space and its exterior periphery demarkation re-imagined as a moat, both Alexander Heim and Florian Roithmayr have constructed an architectural context in which to situate their work. 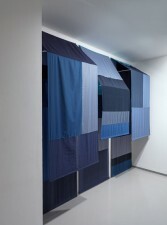 Heim and Roithmayr deal with the body’s relationship to interior space, both psychological and physical. An interest in the human scale of architecture and the seclusion it provides are evident in the works. 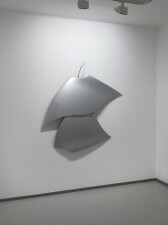 Using the ground floor exhibition space, Alexander Heim presents a body of work entitled Anglo Saxon Bonnets, sculptural assemblages made from cut and re-configured car bonnets hung on the wall as abstract reliefs. With an apparent word play, Anglo Saxon Bonnets appear like impossible hats or a medieval coat of arms one might find within the burg. 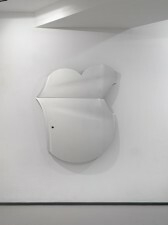 However, as both a motif and sculptural material, the car for Heim speaks explicitly of a particular human connection. Perhaps an extension of the body itself, the car is a habitation, an architecture of sorts that provides not only a function but a human barrier between the outside and the interior. An intimate human space of seclusion and protection. On the lower ground floor, encountering Roithmayr’s Grotto is immediately reminiscent of interior tapestry work found within the burg. Articulating the specifities of the space, Grotto encourages an architectural reading of the work. Roithmayr’s sculptural environments are frequently derived from his research of history, design and archaeology. The word grotto, with it’s connotations to shelter and privacy, resonates within the space of Hanway Place. The work is simultaneously inviting and yet impossible to interact with, highlighting the complexities of the human need to find an inner space. 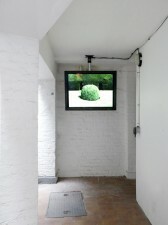 The exhibition continues through to the courtyard, where both artist’s use the boundary wall of Hanway Place. The frontier to the ‘outside’. Heim presenting the film Nectar and Roithmayr hanging a concrete sculpture, it’s shape informed by the architecture of the exterior space, poignantly entitled Moat. 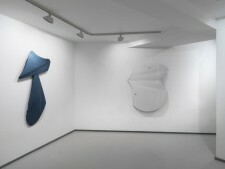 Alexander Heim, born in Hamburg, Germany in 1977, graduated from Goldsmiths College London in 2006. 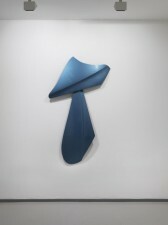 Recent shows include Cruise, Lullin + Ferrari, Zurich (2012), Angelsächsische Hauben (Anglo-Saxon Bonnets), Galerie Karin Guenther, Hamburg (2012), Bonnets Nouveaux, Kunstverein Freiburg (2012), The Great Plastic Vortex, Art Basel - Statement (2011), nectar, Hermes und der Pfau, No Soul For Sale festival at Tate Modern (2010), Yesterday Will Be Better, Aargauer Kunsthaus (2010), The Fool, Northern Gallery for Contemporary Art, Sunderland (2009), Doves, doggerfisher, Edinburgh (2008), Nought to Sixty, ICA (2008). Florian Roithmayr, born in Rosenheim, Germany in 1977, graduated from Goldsmiths College London in 2005. Recent shows include I don’t feel like it: The indifference of objects, Camberwell Space, London (2012), MOT International, London (2012), Galerie Neue Alte Brücke, Frankfurt, Germany (2007), Galerie Miroslav Kraljevich, Zagreb, Croatia (2007), Ateneum Finnish National Art Museum and Taidehalli Art Centre, Helsinki, Finland (2006). 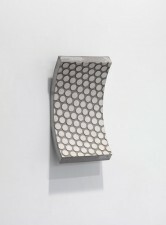 Roithmayr has participated in group shows including Solid on Our Source Planet, Wysing Art Centre (2012), fifteen, S1 Artspace, Sheffield (2011), Bold Tendencies IV, Hannah Barry Gallery, London (2010), Continuous Movement of Idea, Galerie Nicolas Silin, Paris, France. 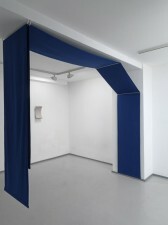 Something Blue, Landings Project Space, Oslo (2010), Naom Gabo, Florian Roithmayr, The Russian Club Gallery, London (2010), The young visitors to ruins do not see anything but a style, Galeria d’Arte Moderna, Turin, (2010), Under:Construction, SC Gallery, Zagreb (2008) Feeling gave way to structure, The Approach Gallery, London (2008). Event and screening to coincide with the exhibition Burg. 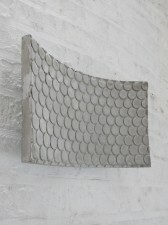 Alexander Heim will screen his film Passage to Aravanadi, 2012 and Florian Roithmayr will offer a presentation of several biographies of walls, ceilings and surfaces, focusing on the moments these biographies are delayed or stop entirely to become objects, texts, or sculpture.